Best known as the author of the classic novel Black Beauty, English Novellist Anna Sewell sadly died 25 April 1878 of Hepititis or Tuburculosis. She was born 30 March 1820 in Great Yarmouth, Norfolk and When Anna was twelve, the family moved to Stoke Newington where she attended school for the first time. Two years later, however, she slipped while walking home from school and severely injured both of her ankles. Her father took a job in Brighton in 1836, in the hope that the climate there would help to cure her. Despite this, and most likely because of mistreatment of her injury, for the rest of her life Anna was unable to stand without a crutch or to walk for any length of time. For greater mobility, she frequently used horse-drawn carriages, which contributed to her love of horses and concern for the humane treatment of animals. Sewell’s only published work was Black Beauty, written during 1871 to 1877, after she had moved to Old Catton, a village outside the city of Norwich in Norfolk. During this time her health was declining. She was often so weak that she was confined to her bed and writing was a challenge. She dictated the text to her mother and from 1876 began to write on slips of paper which her mother then transcribed. Sewell sold the novel to local publisher Jarrolds on 24 November 1877, when she was 57 years of age. 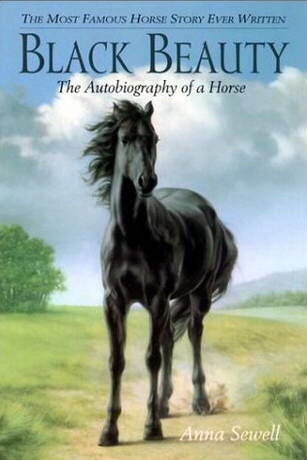 Although it is now considered a children’s classic, she originally wrote it for those who worked with horses. She said “a special aim was to induce kindness, sympathy, and an understanding treatment of horses”. Sadly though Sewell died five months after her book was published, but lived long enough to see its initial success. She was buried on 30 April 1878 in the Quaker burial-ground at Lammas near Buxton, Norfolk, not far from Norwich, where a wall plaque now marks her resting place and Her birthplace in Church Plain, Great Yarmouth, has been the home to a museum and tea shop. Andy Bell, singer songwriter with Synth pop duo Erasure, was born 25th April 1964 in Peterborough. He formed Erasure, with Vince Clarke after Clarke left Depeche Mode in 1981 and Yazoo and advertised for a vocalist in Melody Maker. He selected Andy Bell. The origins of the band’s name stem from tHe word “erasure” which was erroneously written on a demo tape for “Who Needs Love Like That. At the time, the duo still hadn’t thought of a name, and upon rescuing the tape, they decided upon Erasure. their debut single “Who Needs Love Like That” was released in 1985, Followed by Oh L’amour. Their debut album, Wonderland, was released in June and their fourth single, “Sometimes”, was released in 1986 beginning a string of major hits for the duo. From 1986 to 1997, including “A Little Respect“, “Chains of Love” and “Always“. Erasure’s next album, The Circus, was released in March 1987 and reached number six and turned platinum in the UK with three additional hit singles: “It Doesn’t Have To Be”, “Victim of Love” and “The Circus”. The album remained on the charts for over a year. Erasure’s third album, The Innocents, was released in April 1988. containing the singles “Ship of Fools”, “Chains of Love” and “A Little Respect”. This was followed In November 1988, by the Crackers International EP, led by the song “Stop!”, hit number two in the UK singles chart. The albums Wild! (1989) and Chorus (1991) both contained four Top 20 singles and were major sellers. in 1992 Erasure released another EP, Abba-esque, covering four ABBA hits, which became Erasure’s first (and to date only) number one in the UK Singles Chart. It featured a memorable video of the duo dressed in ABBA outfits, and contributed to the ABBA revival scene in the 1990s. Also in 1990, Erasure contributed the song “Too Darn Hot” to the Cole Porter tribute album “Red Hot + Blue” produced by the Red Hot Organization. In 1992, a singles compilation, Pop! – the First 20 Hits, also hit number one and went triple platinum, featuring all the band’s singles released from 1985 to 1992. In 1994, Erasure released I Say I Say I Say, their fifth consecutive number one in the UK Albums Chart. Its first single, “Always”, became the band’s third Top 20 hit in the United States, next its second single, “Run to the Sun” was released in July and became their final UK Top 10 hit until 2003. Its third and final single, “I Love Saturday” was released in November. The October 1995 release of the album Erasure marked a determined shift away from Erasure’s signature three-minute synthpop to a more introspective and experimental sound. Nevertheless, it made the UK Top 15 and spawned two UK Top 20 singles, “Stay With Me” and “Fingers & Thumbs”. A remixed version of “Rock Me Gently” was released only in Germany as third single. sadly, the 1997 album Cowboy did not restore the success of their 1986–1994 era. Cowboy enjoyed a short-lived success, The first single “In My Arms” reached number 13 in the UK and entered the Top 2 in the U.S. Dance chart. The second single “Don’t Say Your Love Is Killing Me” made number 23 in the UK. The third single “Rain” was also only released in Germany and Czech Republic. In October 2000, Erasure released their ninth studio album Loveboat, containing the single “Freedom”,In 2001 the released a limited EP “Moon & the Sky” which contained new versions of the title song, a cover of the song “Baby Love” and some acoustic versions of Loveboat songs. The 2003 release Other People’s Songs was a collection of cover versions. Including a cover of Peter Gabriel’s song “Solsbury Hill” and a cover of Steve Harley’s “Make Me Smile (Come Up and See Me). In 2003 a new best-of compilation was released, called Hits! The Very Best of Erasure. Included was a new version of the 1986 song “Oh L’amour” . Erasure’s 2005 album Nightbird’s contained the single, “Breathe”. The next single, “Don’t Say You Love Me”, enabled purchasers to configure their own remixes of the single through the band’s website, with each variant of the song limited to a single download. The third single was a double A-side, features new versions of “Here I Go Impossible Again”/”All This Time Still Falling Out of Love”. Union Street was a 2006 side-project which featured a collection of previously released album tracks that the band reinterpreted in an acoustic/country & western style. The duo then released a more ‘dance-oriented’ album Titled Light at the End of the World, containing the single “I Could Fall in Love with You”, “Sunday Girl”, and The Storm Chaser EP which included an exclusive B-side “Early Bird”, a duet with Cyndi Lauper. In 2009 they released Total Pop! – the First 40 Hits, a collection of Erasure’s first 40 hits plus a new remix of “Always” by Jeremy Wheatley, Erasure also released a six-track EP of classic remixes entitled Erasure.Club andTo celebrate 21 years since its release, the album The Innocents was remastered and re-released on 26 October 2009. Erasure’s next album Tomorrow’s World contained the singles When I Start To (Break It All Down)”, “Be with You” and “Fill Us with Fire, Erasure also toured internationally in 2011. In 2013, Erasure released their first holiday album, Snow Globe featuring a cover of the 1973 Steeleye Span track “Gaudete”. Erasure’ Have also released the career spanning retrospective “Always – The Very Best of”. Andy Bell has also released the solo album Electric Blue. Bjorn Ulvaeus, The Swedish singer and songwriter wth the group ABBA was born on 25th April 1945, ABBA were a Swedish pop/rock group formed in Stockholm in 1972, comprising Agnetha Fältskog, Benny Andersson, Björn Ulvaeus and Anni-Frid Lyngstad. They became one of the most commercially successful acts in the history of pop music, topping the charts worldwide from 1972 to 1982. They are also known for winning the 1974 Eurovision Song Contest whch was held in Brighton and gave Sweden its first victory in the history of the contest and became the most successful group ever to take part in the contest. ABBA has sold over 370 million records worldwide and still sell millions of records a year, which makes them one of the best-selling music artists. ABBA was the first pop group to come from a non-English-speaking country that enjoyed consistent success in the charts of English-speaking countries, including the UK, Ireland, the U.S., Canada, Australia, New Zealand, South Africa and the Philippines. The group also enjoyed significant success in Latin American markets, and recorded a collection of their hit songs in Spanish. During the band’s active years, Fältskog and Ulvaeus were a married couple, as were Lyngstad and Andersson–although both couples later divorced. At the height of their popularity, both relationships were suffering strain which ultimately resulted in the collapse of the Ulvaeus-Fältskog marriage in 1979 and the Andersson-Lyngstad marriage in 1981. As a result, these relationship changes began appearing in the group’s music, and later compositions produced more introspective lyrics. English musician, actor and Singer Tony Christie was born 25 April 1943. He is best known for his track, “Is This the Way to Amarillo”. He has sold more than 10 million albums worldwide. He had two Top Twenty hits in the UK Singles Chart in 1971 with “I Did What I Did for Maria”, and “Is This the Way to Amarillo”, He also had a minor hit with “Avenues and Alleyways” the theme to the television series The Protectors. “Is This the Way to Amarillo” sold more than one million copies by September 1972, and was awarded a gold disc. His early songs were dramatic big-voiced numbers, many of which were written by Mitch Murray and Peter Callander. He recorded albums regularly throughout the 1970s including With Loving Feeling which contained the song “Is This The Way to Amarillo”. He also recorded an album in the United States in 1973, followed by A live album. In June 1972, he was invited on the music festival, The Golden Orpheus, then in communist Bulgaria. He played the role of Magaldi on the original 1976 album recording of the musical Evita, and sought to represent the UK in the 1976 Eurovision Song Contest, with the song “The Queen of the Mardi Gras”. he maintained a successful singing career in continental Europe during this period recording four albums in Germany, including the collaboration Welcome To My Music, In 1999, he was the vocalist on the Jarvis Cocker-penned UK Top Ten hit, “Walk Like a Panther”, recorded by the Sheffield band, All Seeing I. His influence on a new generation of singers was further demonstrated when indie pop band Rinaldi Sings released a cover version of “Avenues & Alleyways”. In 2002, “Is This the Way to Amarillo” was used in the TV comedy series Peter Kay’s Phoenix Nights, leading to a resurgence in his popularity. The song was re-released on 14 March 2005 to raise money for the Comic Relief charity, And became the longest running chart-topper since Cher’s “Believe”, almost seven years earlier. The single was credited as “featuring Peter Kay”, though Kay only appeared in the video; the audio track was the original 1971version. In 2005 Christie re-recorded “Amarillo” together with the Hermes House Band for the German market, Following the song’s success, Christie was awarded the freedom of Amarillo, Texas, and made a guest appearance on the Yorkshire based TV soap opera, Emmerdale. To follow up the success of Amarillo he re-released another single “Avenues & Alleyways”, Following on from this success, Christie released a big band cover of Slade’s “Merry Xmas Everybody”. The B-side contained a big band version of “Is This the Way to Amarillo” and a live recording of “If It Feels Good, Do It” plus videos of the first two tracks. To coincide with the 2006 World Cup, a new version of “Amarillo” was released on the novelty single “(Is This The Way To) The World Cup?” Christie also released the album, Simply in Love. In 2008 Christie recorded the album, Made in Sheffield, with contributions from Alex Turner and Jarvis Cocker. On 20 May 2008, he performed one of the album’s songs, “Danger Is A Woman In Love”, at the Royal Albert Hall with Hawley. 2009 saw the release of the download single, “Every Word She Said”. The same year, Christie also featured in “Heresy”, with his nephew’s band Laruso, which was released on their début album A Classic Case of Cause and Effect. In July 2010 Christie made his West End début in the musical Dreamboats and Petticoats Playing the roles of ‘Older Bobby’ and ‘Phil’. On 22 December 2010, Christie appeared in a celebrity version of Come Dine with Me. Christie’s nineteenth studio album, Now’s the Time!, was released in the UK in 2011 And included collaborations with Jarvis Cocker and Róisín Murphy. To coincide with 50 years in the music industry, Christie embarked on a 50-date national tour promoting the new album and also sang his back catalogue of hits including Avenues and Alleyways, Las Vegas, Walk Like A Panther, a version of Mr Bojangles made famous by Sammy Davis Jr. and a cover of the Smokey Robinson hit Shop Around. On 23 October 2011, Christie released a charity single, a special arrangement of “Steal The Sun” in aid of the Help for Heroes Charity, supporting all of the British Forces fighting on the frontline in Afghanistan, with all proceeds going to the charity and From December 2011 Christie appeared in pantomime at The Theatre Royal, Windsor as the King. DNA (Deoxyribonucleic acid) is a thread-like chain of nucleotides carrying the genetic instructions used in the growth, development, functioning and reproduction of all known living organisms and many viruses. DNA and ribonucleic acid (RNA) are nucleic acids; alongside proteins, lipids and complex carbohydrates (polysaccharides), they are one of the four major types of macromolecules that are essential for all known forms of life. Most DNA molecules consist of two biopolymer strands coiled around each other to form a double helix. The two DNA strands are called polynucleotides since they are composed of simpler monomer units called nucleotides. Each nucleotide is composed of one of four nitrogen-containing nucleobases (cytosine [C], guanine [G], adenine [A] or thymine [T]), a sugar called deoxyribose, and a phosphate group. The nucleotides are joined to one another in a chain by covalent bonds between the sugar of one nucleotide and the phosphate of the next, resulting in an alternating sugar-phosphate backbone. The nitrogenous bases of the two separate polynucleotide strands are bound together, according to base pairing rules (A with T and C with G), with hydrogen bonds to make double-stranded DNA. The complementary nitrogenous bases are divided into two groups, pyrimidines and purines. In a DNA molecule, the pyrimidines are thymine and cytosine, the purines are adenine and guanine. DNA stores biological information. The DNA backbone is resistant to cleavage, and both strands of the double-stranded structure store the same biological information. This information is replicated as and when the two strands separate. A large part of DNA (more than 98% for humans) is non-coding, meaning that these sections do not serve as patterns for protein sequences. The two strands of DNA run in opposite directions to each other and are thus antiparallel. Attached to each sugar is one of four types of nucleobases (informally, bases). It is the sequence of these four nucleobases along the backbone that encodes biological information. RNA strands are created using DNA strands as a template in a process called transcription. Under the genetic code, these RNA strands are translated to specify the sequence of amino acids within proteins in a process called translation. Within eukaryotic cells DNA is organized into long structures called chromosomes. During cell division these chromosomes are duplicated in the process of DNA replication, providing each cell its own complete set of chromosomes. Eukaryotic organisms (animals, plants, fungi and protists) store most of their DNA inside the cell nucleus and some of their DNA in organelles, such as mitochondria or chloroplasts. In contrast prokaryotes (bacteria and archaea) store their DNA only in the cytoplasm. Within the eukaryotic chromosomes, chromatin proteins such as histones compact and organize DNA. These compact structures guide the interactions between DNA and other proteins, helping control which parts of the DNA are transcribed. DNA was first isolated by Friedrich Miescher in 1869. Its molecular structure was first identified by James Watson and Francis Crick at the Cavendish Laboratory within the University of Cambridge in 1953, whose model-building efforts were guided by X-ray diffraction data acquired by Raymond Gosling, who was a post-graduate student of Rosalind Franklin. DNA is used by researchers as a molecular tool to explore physical laws and theories, such as the ergodic theorem and the theory of elasticity. The unique material properties of DNA have made it an attractive molecule for material scientists and engineers interested in micro- and nano-fabrication. Among notable advances in this field are DNA origami and DNA-based hybrid materials. Malaria is a mosquito-borne infectious disease affecting humans and other animals caused by parasitic protozoans (a group of single-celled microorganisms). Malaria causes symptoms that typically include fever, tiredness, vomiting, and headaches. In severe cases it can cause yellow skin, seizures, coma, or death. Symptoms usually begin ten to fifteen days after being bitten. If not properly treated, people may have recurrences of the disease months later. In those who have recently survived an infection, reinfection usually causes milder symptoms. However This partial resistance disappears over months to years if the person has no continuing exposure to malaria. The disease is most commonly transmitted by an infected female Anopheles mosquito. The mosquito bite introduces the parasites from the mosquito’s saliva into a person’s blood. The parasites travel to the liver where they mature and reproduce. Five species of Plasmodium can infect and be spread by humans. Most deaths are caused by P. falciparum because P. vivax, P. ovale, and P. malariae generally cause a milder form of malaria. The species P. knowlesi rarely causes disease in humans. The disease is widespread in the tropical and subtropical regions that exist in a broad band around the equator. This includes much of Sub-Saharan Africa, Asia, and Latin America. Globally, 3.3 billion people in 106 countries are at risk of malaria. In 2012, malaria caused an estimated 627,000 deaths, mostly among African children. Asia, Latin America, and to a lesser extent the Middle East and parts of Europe are also affected. Red Hat Day takes place annually on 25 April. it was created The Red Hat Society an international society of women that connects, supports and encourages women in their pursuit of fun, friendship, freedom, fulfillment and fitness while supporting members in the quest to get the most out of life. The Red Hat Society’s primary purpose is social interaction and bonding among women and encourages a positive life outlook. The Red Hat Society was Originally founded in 1998 in the United States for women age 50 and beyond, but now open to women of all ages. It was founded After it was recognized that in the early part of their lives, most women give their all to family, career, and community, along the way, sometimes their existing bonds of friendship gradually diminish so the Red Hat Society was set up as a way to reconnect with old friends, or make new friends and rediscover the joy of getting together with other women for the express purpose of having fun. The society also promotes periods of “recess” from the cares and duties of everyday life in which members gather for no other purpose than to play. The benefits of being a part of The Red Hat Society include interpersonal connections and emotional support systems built among Sisters (other members) both online and offline. Members of the society support one another in every life stage from all corners of the globe. RHS members are reshaping the way women are viewed in today’s culture by promoting, not only fun and friendship, but freedom from stereotypes and fulfillment of goals and dreams. The RHS sees physical fitness as the foundation on which they base healthy, rewarding lives. RedhatIt was founded In 1997, after Sue Ellen Cooper, an artist from Fullerton, California, purchased an old red fedora for $7.50 from a thrift shop during a trip to Tucson, Arizona. When a good friend was nearing a 55th birthday, Cooper cast about for an idea for an original gift. Inspired by a well-known Jenny Joseph poem, Warning, which begins “When I am an old woman, I shall wear purple, with a red hat which doesn’t go and doesn’t suit me. ” Cooper wanted to encourage her friend to grow older in a playful manner. She gave her friend a red hat of her own suggesting that she keep it as a reminder to grow older playfully and on her terms. Cooper repeated the gift and eventually several of the women bought purple outfits and held a tea party on April 25, 1998. The Red Hat Society was born. The symbolism behind the red hat had an impact on women Cooper encountered. Those women responded by wearing their own red hats and entering a new women’s movement that embraced a renewed outlook on life filled with fun and friendship, fulfilling lifelong dreams. After spreading by word of mouth, the Society first received national publicity in the year 2000 through the magazine Romantic Homes and a feature in The Orange County Register. Cooper also established a “Hatquarters” to field the hundreds of e-mail requests for help starting chapters. She now serves as “Exalted Queen Mother”, and has written two best-selling books about the Society, “The Red Hat Society: Friendship and Fun After Fifty” published in April 2004 and “The Red Hat Society’s Laugh Lines: Stories of Inspiration and Hattitude” published in April 2005. The Red Hat Society membership increased through word of mouth, growing from two chapters in 1999 to over 70,000 members. Today, there are over 20,000 chapters in the United States and over 30 other countries. A founder or leader of a local chapter is usually referred to as a “Queen”. Members 50 and over are called “Red Hatters” and wear red hats and purple attire to all functions. A woman under age 50 may also become a member, but she wears a pink hat and lavender attire to the Society’s events until reaching her 50th birthday. She is referred to as a “Pink Hatter.” During her birthday month (or the Society’s birthday month of April), a member might wear her colors in reverse, i.e., a purple or lavender hat and red or pink attire. Women who wish to join the society can do so by going to the Red Hat Society website to sign up as a Queen or Member. The individual can then search for chapters based on location or geography and then connect with local chapters by using tools on the society website. Any woman may join the Red Hat Society as a Queen of an individual chapter or as a supporting member of a local chapter. There are supporting members who do not belong to any local chapter, but have the ability to includes access to the RHS website, online communities, special communications, and discounts Both Red and Pink Hatters often wear very elaborately decorated hats and attention-getting fashion accessories, such as a feather boa, at the group’s get-togethers.